UIDAI (Unique Identification Authority of India) official has issued a notification of Aadhar Card Recruitment for filling up vacant posts. Job hunters who are willing to make their career in government sector they may apply by filling Aadhar Card application form through the online process under the section of career. The organization invites online application form from eligible and talented candidates to fill vacant job openings. UIDAI (Unique Identification Authority of India) has announced the eligibility norms and other criteria, you can go through the same before applying. Mode to apply is online. 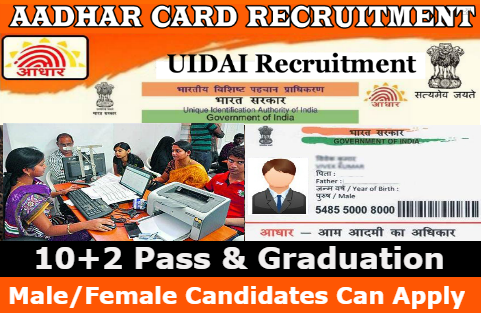 Read the Aadhaar Card UIDAI Recruitment notification . Attach the documents such as Passport Size Photo as well as Signature in the preferred format.